Custom Gifts For Every Summer Event That You May Have in Mind! 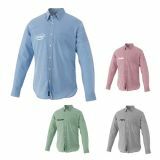 Custom long sleeved dress shirts make great style and comfort statements for all seasons. 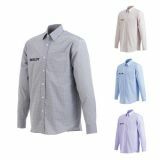 The button-down collar coupled with long sleeves make this dress shirt a boisterous promotional gift. 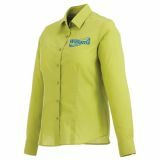 These stylish masterpieces can carry your personal brand to turn a few heads as you promote hotels, hospitality, insurance products and many others. 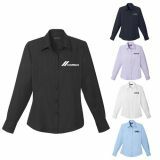 Choose a logo printed long sleeved dress shirt from ProImprint to leave your brand in the hall of fame of successful businesses! 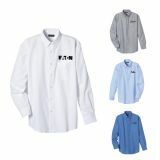 Promotional long sleeved dress shirts are well sought for their versatility and charm that can be used in different occasions. 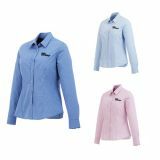 There is no need for you to wait for winter to wear a long sleeve shirt as these will look good on anyone even on a Saturday night out, a sports day or on a corporate weekend. 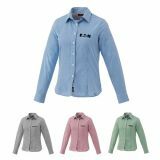 These will ensure absolute comfort and keep the wearer stylish and well dressed up. 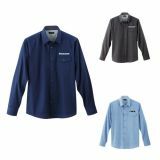 No wardrobe ensemble can be complete without a personalized long sleeve shirt. 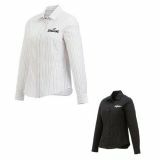 It does not matter whether they like to layer it with other clothing or wear it alone, these trendy outfits will ensure an instant make over. 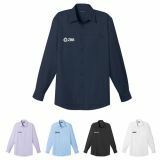 Custom long sleeve dress shirts make thoughtful promotional gifts to churn up your customer’s interest in your brand or to thank them for their patronage. 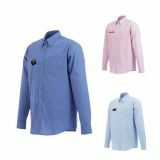 Available in various colors, sizes and prices, choosing a dress shirt is a breeze at the well-stocked counters of ProImprint. 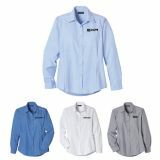 Custom long sleeve dress shirts can dab a lively charm to the otherwise dull outfits. 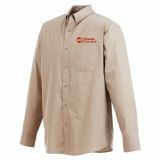 People will love to put on these logo imprinted long sleeve dress shirt not just to their work but also at the sundown pool party,at the barbeque,while raking leaves or playing sports, thereby taking your brand promo to newer heights! Your brand gets picked up by the crowd every time someone leaves the house wearing these shirts. 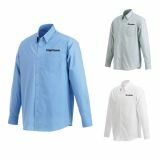 Just handout these logo imprinted dress shirts at trade shows, seasonal product fairs, product launches, etc. 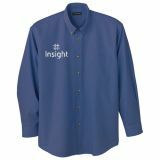 to grab the eye balls of the discerning customers who will love to retain these gifts and remember your brand. 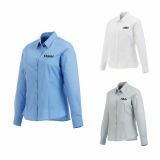 Custom Long Sleeve Shirts are versatile and always in season, which makes these ideal options to drive up your brand message to the masses and promote your business. 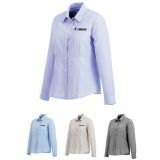 You can select from an attractive range of long sleeve shirts in a range of colors and sizes from ProImprint to keep your group stay warm and trendy without breaking your bank. 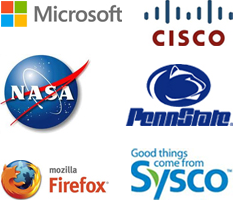 If you find the selection process a bit dreary, contact us at 844-776-4677 or email us at info@proimprint.com and we can come up with the best options that match your brand identity and tastes.